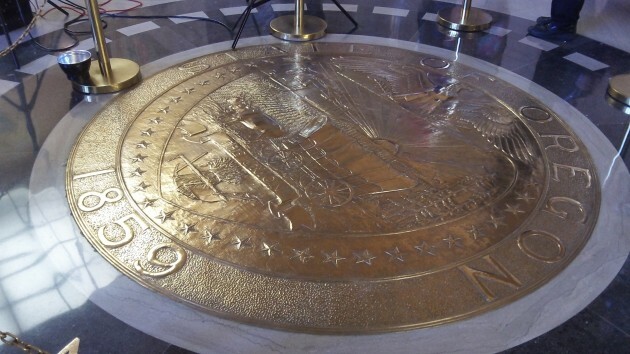 The state seal doesn’t demand openness, but the records law does. The Kitzhaber affair would not have cascaded into a debacle if he had been forthcoming from the start. So the lesson for public officials once again is this: Complete and utter openness is the only thing that offers any hope of repairing serious mistakes. Though it’s weakened by too many exceptions, we have a public-records law that gives people access to papers and emails held by the state and local governments. But Willamette Week and others had a lot of trouble getting emails from the governor and Cylvia Hayes. The governor promised transparency while dragging his feet in making material available. If he did nothing wrong, as he insists, timely release of all communications involving Hayes and state government would have shown that. “We have come to a place in the history of this great state of ours where a person can be charged, tried, convicted and sentenced by the media with no due process and no independent verification of the allegations involved,” Kitzhaber complained. He’s wrong on what happened. Willamette Week, the Portland Tribune and The Oregonian asked around and reported the facts they found out. Cylvia Hayes had influence at the governor’s office. She was paid by outside advocacy groups. The governor did not prevent this or stop it when he found out. Those are facts, not allegations or charges. And the media didn’t convict, let alone sentence, anybody. A very small sample of “the media” did the work that all newspapers should be doing all the time. They asked and checked and reported the facts they found out.